Local emcee St. Paul Slim (aka Meyer Warren) has found a new voice through art, and he’s using it to challenge images and stereotypes often associated with African American culture. 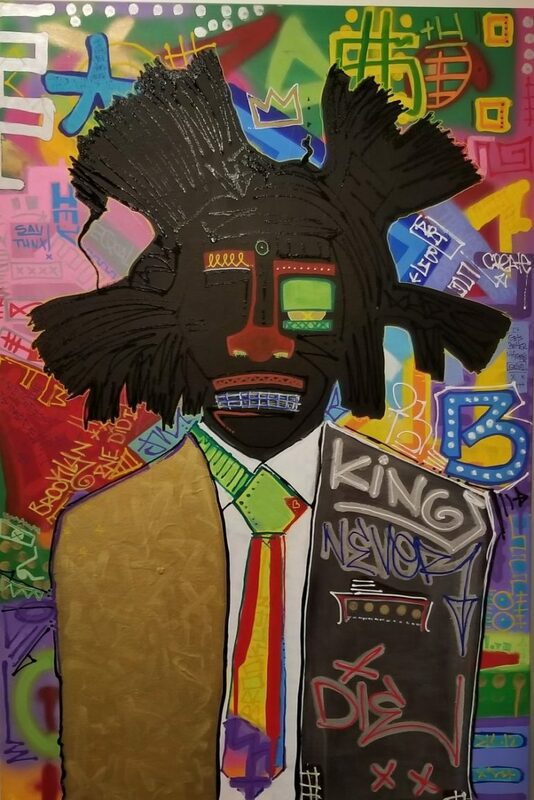 His latest body of work, “#HysterioTypes,” features a vibrant collection of graffiti collage paintings that reimagine watermelons, pay homage to artist Jean-Michel Basquiat, and recreate Jaybo cartoons from the visuals to Jay Z’s song Story of O.J. (which were themselves inspired by the 19th century Sambo character). The images are celebrations of Blackness: striking, abstract, bold, and in-your-face. And, if you take a deeper look, you’ll find phrases and symbols worked into the designs. The former Marine-turned-rapper has always had a knack for art. Warren grew up doing graffiti and tagging buses and trains. “That’s the type of stuff I used to do as a kid,” he told the MSR at his exhibit at H. White Men’s Room in North Minneapolis. 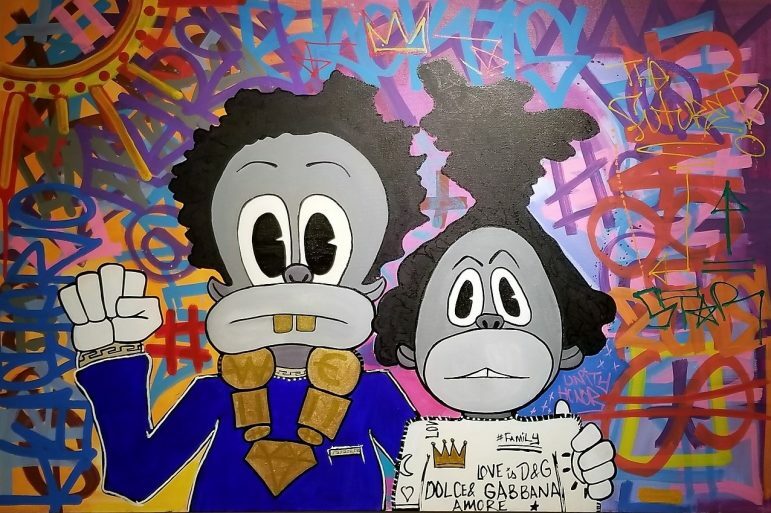 Since then, he has held five solo art shows, been featured as an artist for the Made Here series #Represent and #Future, and was one of only 10 artists featured on the 2016 Summer Arts Discovery Series at the Landmark Center in St. Paul. Last year, after watching and experiencing Jay-Z’s 4:44 album, he was inspired to join the conversation of reshaping Black history through artistic expression. He started painting pieces from the collection last year in July. He said it was also a turning point in his artistic career. He is now working on securing grants to further his craft and expand his presence in the art world. He also has a limited edition clothing line in partnership with HWMR. His next show, called #WarReady, is also in the works, set for an August debut. To view more of Warren’s works and for more information, visit stpaulslim.com.